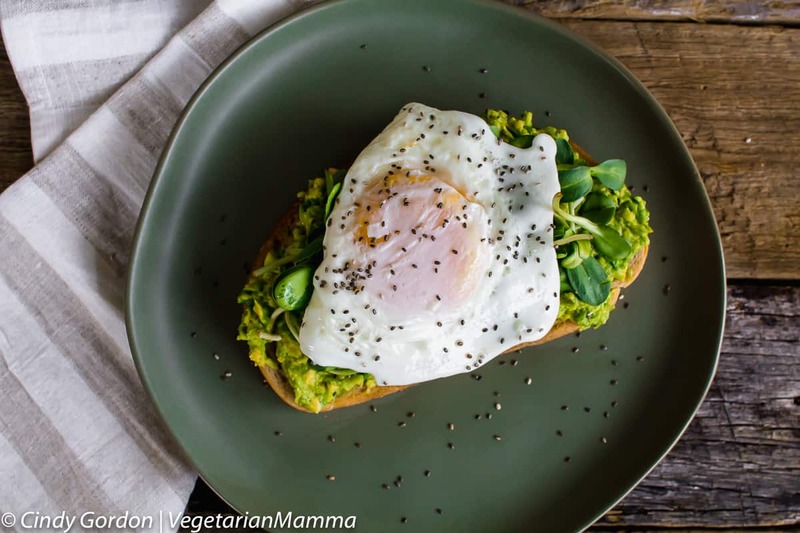 Fried Egg Avocado Toast is a delicious twist on the classic and trendy avocado toast. If you love egg toast and you love avocado toast, why not pair the avocado and egg together? This post is sponsored by Schar. I am sure you have heard all the talk about avocado toast. 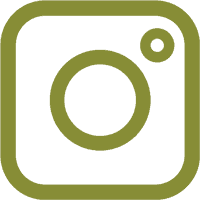 You have seen those crazy beautifully stylized pictures on Instagram for #ToastTuesday, and maybe you’re wondering what all the fuss is about. 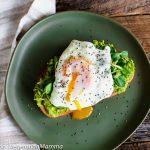 Today, I am sharing one of my go-to quick and easy breakfasts, Avocado Toast with Fried Egg. This is the breakfast I make when I need to power through my morning. It’s simple, delicious, super nutritious, and probably the perfect breakfast food. This recipe is pretty simple. We are basically talking about toast, avocado and egg. Oh yes, and some chia seeds on top! But wait, what are those clover leaf looking greens? We will talk about all of the ingredients and their nutritional benefits in a bit! The base of your avocado toast needs to be a delicious bread. 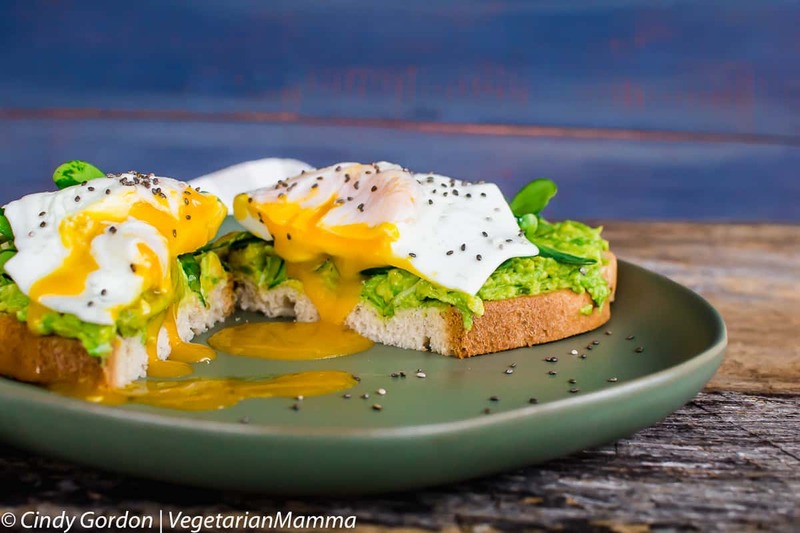 We choose the Deli Style Bread from Schar for this avocado toast with egg recipe. We love the size of the bread and how sturdy it is. 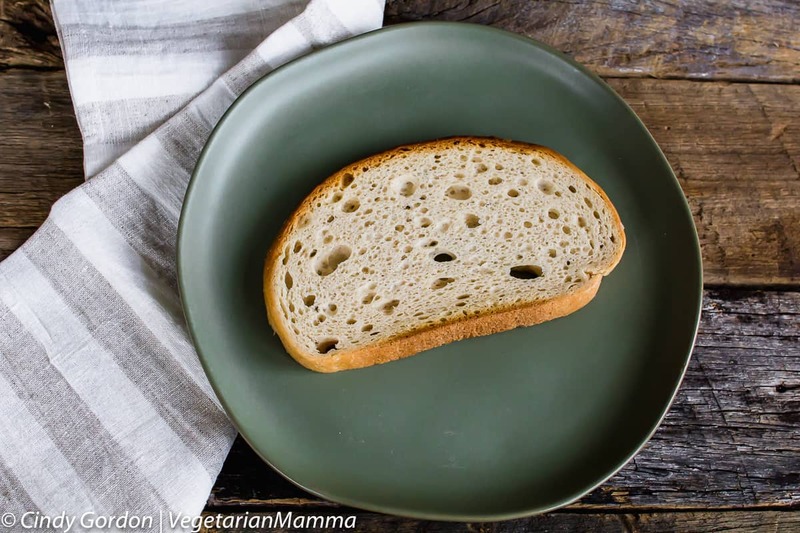 One serving of this bread is approximately 120 calories and is gluten-free and dairy-free. This bread is also shelf stable. We use this bread when we travel. It comes in an amazing air tight container which is perfect for traveling. You might remember that we took about 6 packages when we traveled to St. Kitts last fall. It worked out great! 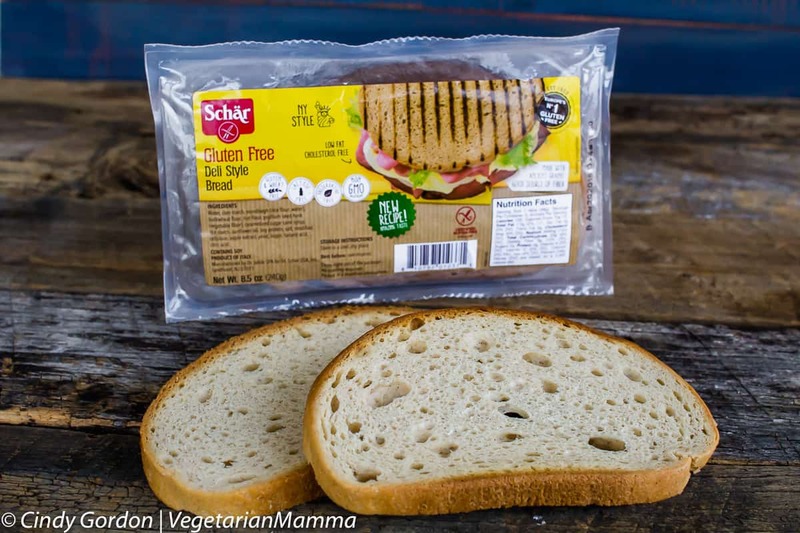 This gluten-free bread is great as is or toasted! For this recipe, we toasted it. I would say that avocado is a pretty trendy food right now. It has been for a while. It seems though that people either love it or hate it. I am certainly an avocado lover! I personally think that avocados are pretty awesome because of how they taste and what they have to offer us. They are super nutrient dense. Avocados are a fantastic source of vitamins C, E and K. They are pretty good for vitamin B-6 as well! Did I mention healthy fats? Oh yes! Bring on those omega-3 fatty acids! We simply opened our avocado, removed the pit/skin and mashed the avocado. Then spread the smashed avocado onto your toast! Sunflowers are typically known for their beautiful blooms! I can not argue that those blooms are beautiful, but there is also another great part to the sunflower. 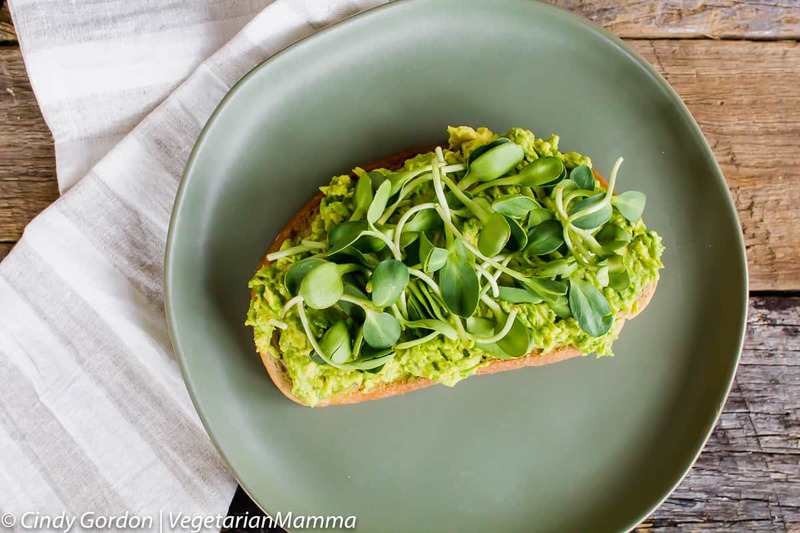 Sunflower sprouts are a great addition into your diet. The sprouts are nutritious and a great source of fiber, iron and healthy fats. Sunflower sprouts are pretty calorie dense, so use them wisely. I wouldn’t suggest using more than a 1/4 of a cup at a time. A 1/4 of a cup of sunflower sprouts will run you about 190 calories, but they do carry a lot of nutritional benefit. I used a 1/4 of a cup for this Fried Egg Avocado Toast recipe! Eggs can be tricky, especially in the texture department. If you can’t stomach a runny egg, that is quite fine. 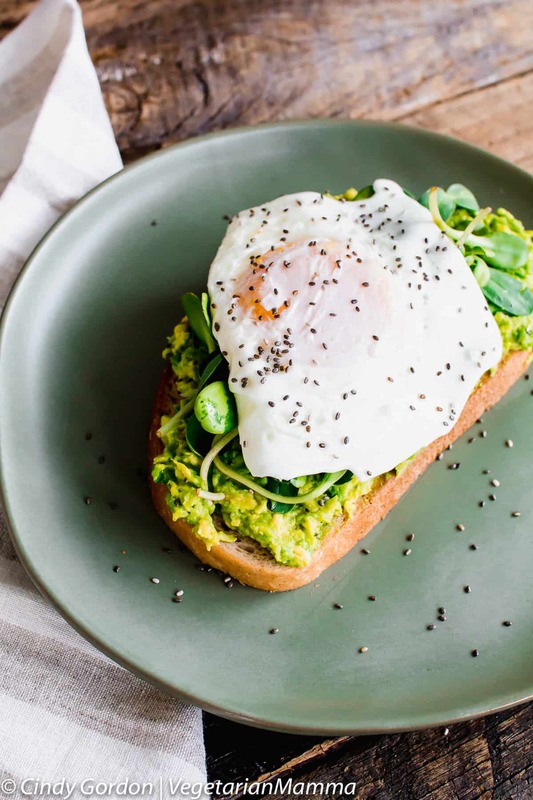 Just scramble your egg and use it to top your avocado toast. There are so many ways you can prepare eggs. For this recipe, I did a cross between a Sunny Side Up and an Over Easy Egg. I wanted the yolk to still be runny but I wanted to flip the egg in the process. Want to learn more about all the different ways you can cook eggs? Check this out. I added chia seeds to my smashed avocado toast for a few reasons. Not only does it give a beautiful contrast, but I also wanted to enjoy some of the benefits that chia seeds has to offer. 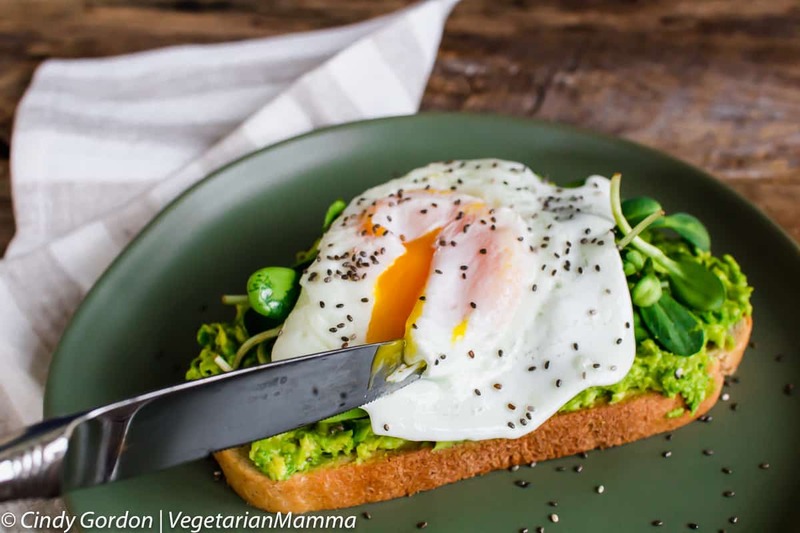 Chia seeds follow suit with our nutrient dense ingredient list for this fried egg avocado toast recipe. Chia seeds offer up fatty acids, vitamins, iron and more. Chia seeds are said to be great for digestive health, skin, heart health and more. If you love eggs and you love chickpeas, I have the recipe for you. You know, since we are on this egg theme! Check out this Indian Spiced Chickpeas and Eggs from This Mess Is Ours. I think you’ll have a new favorite! If you are looking for pancake ideas for breakfast, these oatmeal banana pancakes look divine! Way to hit it out of the park, A Mindful Mom! What if I Don’t Eat Eggs? No eggs? No problem! Swap out the egg for your favorite beans or another vegan protein that you like. I think that this avocado toast is pretty healthy, but it really depends on your dietary needs. For me, this is a vegetarian and gluten free meal with healthy fats, carbs, and protein. Perfect! 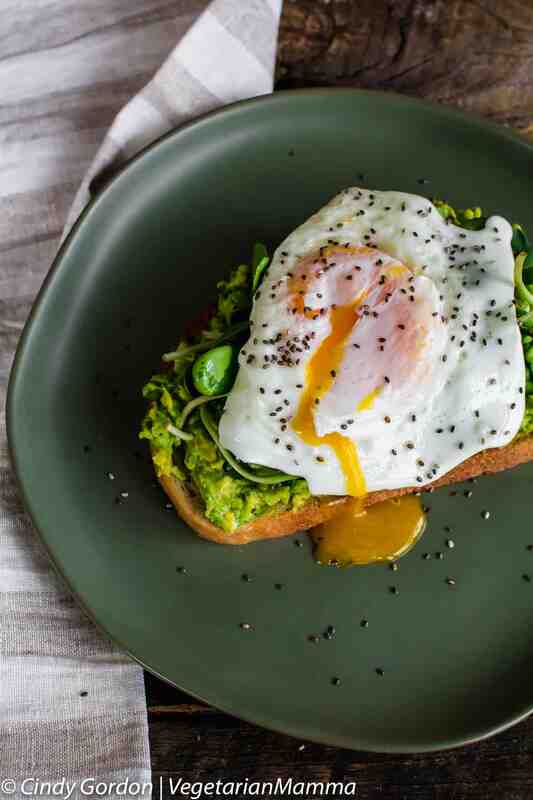 Here’s the Simple Recipe for Fried Egg Avocado Toast! Toast bread and place on plate. 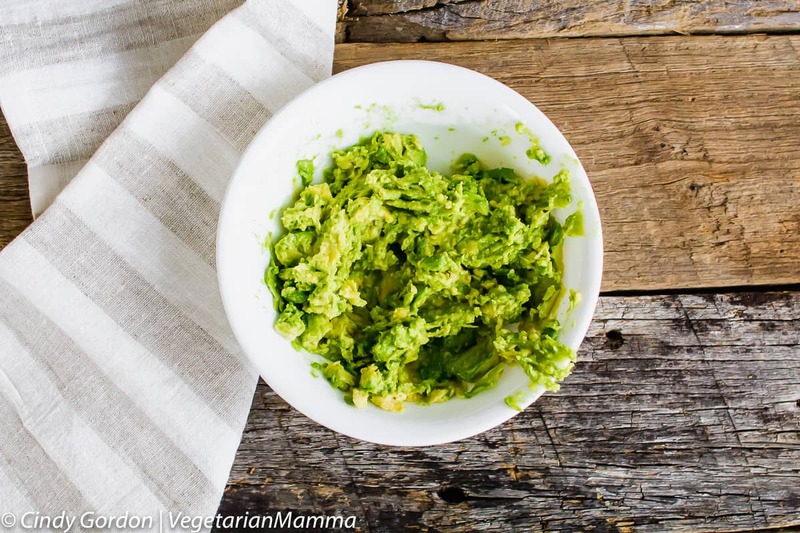 Remove avocado pit and skin. Smash 1/2 of avocado and spread on toast. Top with sunflower sprouts. In a small pan, warm oil over medium heat. Crack egg into pan. Be careful when frying not to break the yolk. Fry until the outside of the egg becomes all white and the yolk starts to slightly firm up. Place on top of toast. Enjoy! Don't forget the fork and knife! Let’s talk! 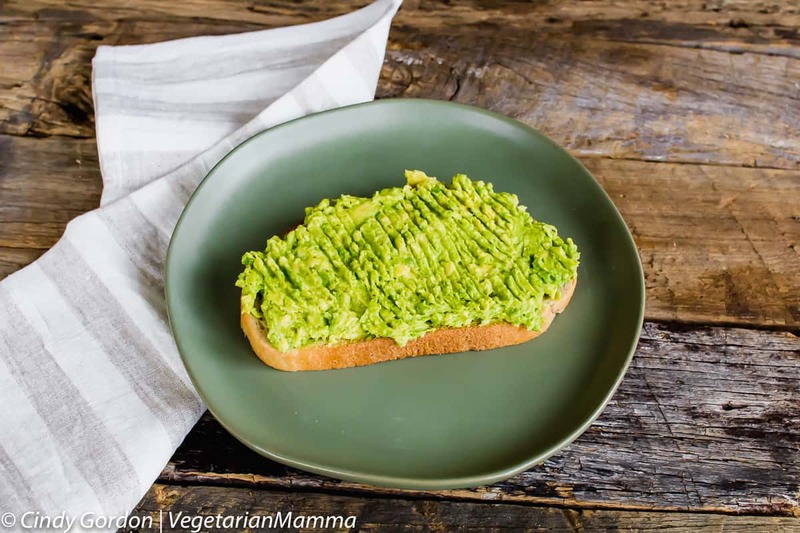 Have you joined the avocado toast train? What are you favorite toppings to your avocado toast? Leave me a comment below! This sounds like a nutritious and delicious breakfast! I have never tried sunflower sprouts before but they sound like a nice fresh element to balance the avocado’s fat. I never thought to use chia seeds without soaking! Didn’t know you could, actually. I’m definitely adding those to my weekend breakfasts! Oh now this sounds like it would be delicious, I have to admit I really need to try more avocado! This looks super delicious and super easy! I am a sucker for avocado so I will totally have to make this for my breakfast one morning! I think my son would like it as well! This looks so good. I’ve been trying to get my eggs like this when I cook them and it’s an epic fail each time. I’m going to attempt this recipe still! OMG I love avocado and egg and that bread is gluten free!!! I can’t wait to try it. Usually gluten free breads don’t look nearly that awesome. OMG! I love every ingredient in this sanwich! And it looks so good that now I am hungry! I need to make it right now! I had no idea Gluten Free could look this delicious! What an awesome recipe. 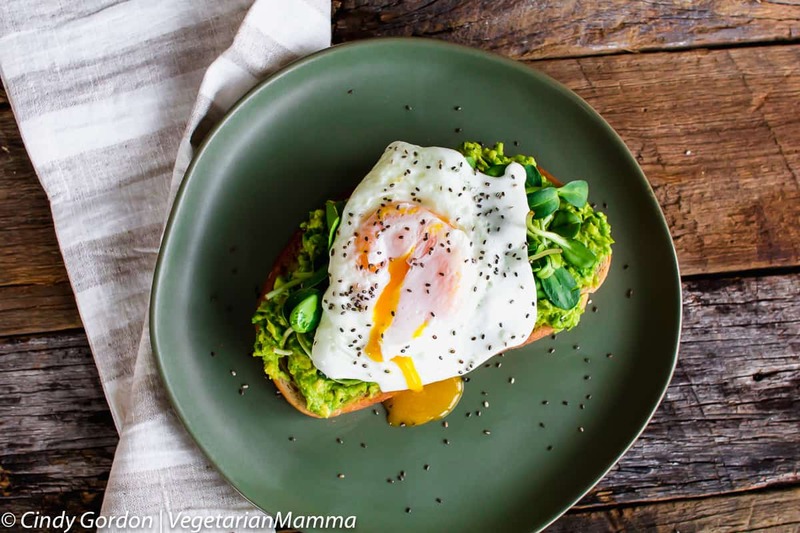 OMGoodness this fried egg avocado toast looks and sounds amazing! It incorporates all the things I love and it’s gluten-free! Oh wow this is also my Amore’s favorite for breakfast (while I devour myself with heavy ones). Lots of avocadoes and its a fabulous yum!